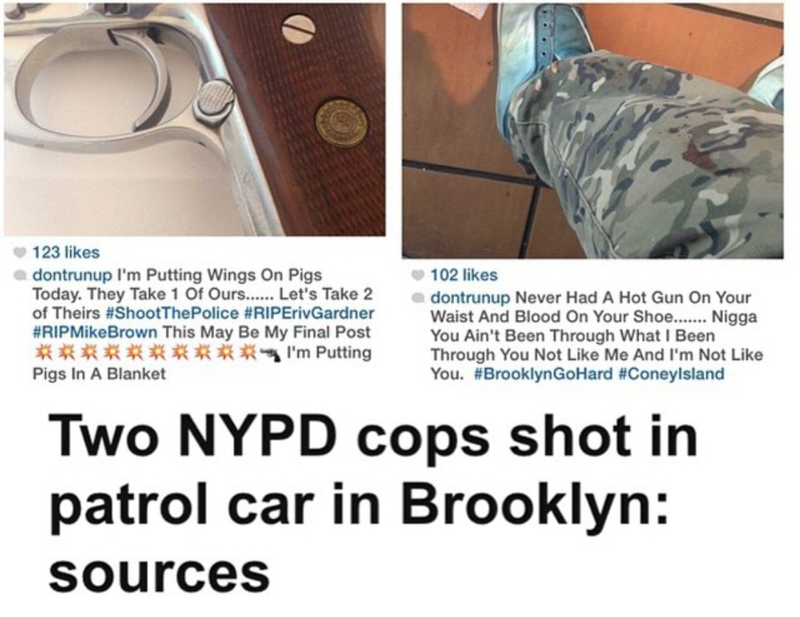 As if the world wasn’t already violent and crazy enough, things got much worse as two NYPD cops were killed, execution style, while they were sitting in a marked police cruiser during an anti-terrorism drill in Bed-Stuy, Brooklyn. The suspected gunman apparently gave warning of his plot to put “wings on pigs” via an Instagram post, pictured below. Once police cornered the shooter, he turned the gun on himself and was eventually pronounced dead. The shootings were alleged revenge for the deaths of Eric Garner and Mike Brown. Hopefully, people can find peace and end the violence. Killing cops is not the way to fight for a cause.